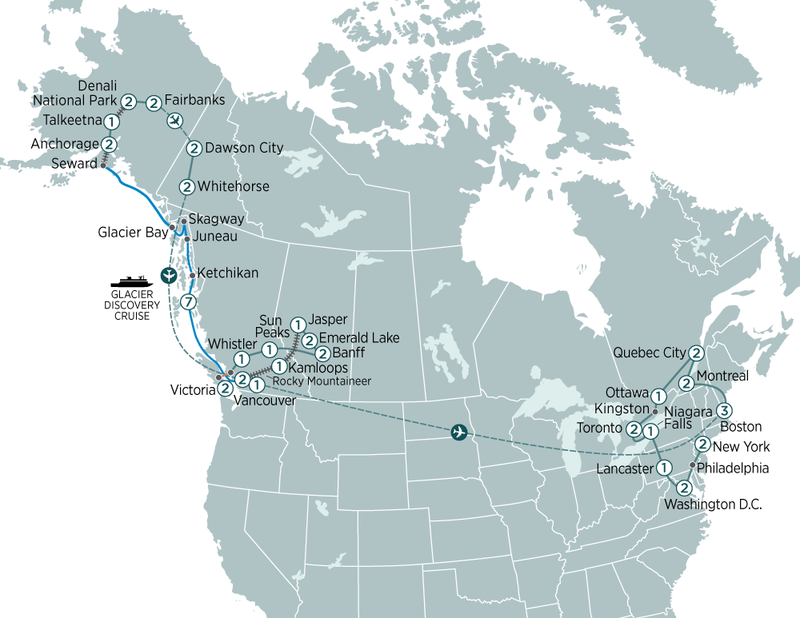 Starting in Victoria,discover the spectacular Rocky Mountains, Canada's beautiful National Parks, Alaska's Glacier Bay & East Coast USA on this 48 day tour. Board your flight to Boston (flight not included in price). On arrival in Boston, you will be transferred to your hotel (day is unescorted). Spend the day exploring historical Boston. Day 44 - Lancaster – Washington D.C.